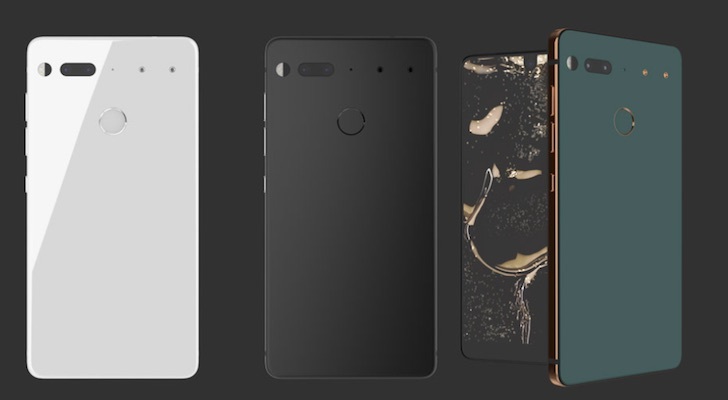 With the announcement of Alphabet Inc’s (NASDAQ:GOOG, NASDAQ:GOOGL) Google Pixel 2, the fight among the best smartphones of the year is now on for consumer dollars. All the major vendors have now unveiled their flagship devices for 2017, so if you’ve been holding out on upgrading, the time to make a choice has arrived. 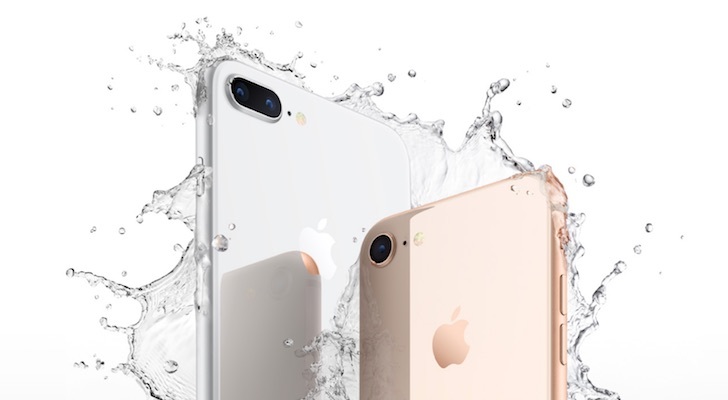 The most highly anticipated release may have been Apple Inc.’s (NASDAQ:AAPL) iPhone X — which starts pre-orders in less than two weeks — but there are plenty of other compelling smartphone options to choose from. Which is the best phone out right now? That depends on what you’re looking for. Camera, battery life, performance and price all play a role and some factors may be more important than others to you. To help you choose, we’ve put together a list of 10 of the best smartphones 2017 has to offer. Apple announced two new smartphones at this year’s September event. The iPhone 8 is the followup to last year’s iPhone 7 and the largest option — the iPhone 8 Plus — easily makes this list of best new smartphones. While there is a great deal of visual similarity to last year’s iPhone, the iPhone 8 does feature a new glass back design that supports wireless charging. That’s a first in an Apple phone. Big upgrades to the iPhone 8 include a True Tone Retina HD display, powerful A11 Bionic CPU and Apple’s new in-house designed GPU. The dual camera system on the iPhone 8 Plus gets an improved Portrait Mode and new studio lighting effects. That camera with its 2x optical zoom makes it a better choice over the regular $699 iPhone 8 if you snap a lot of photos, and it’s worth the $100 premium. One of the first new entries for 2017 was Samsung’s Galaxy S8. And it remains one of the best smartphones of 2017. 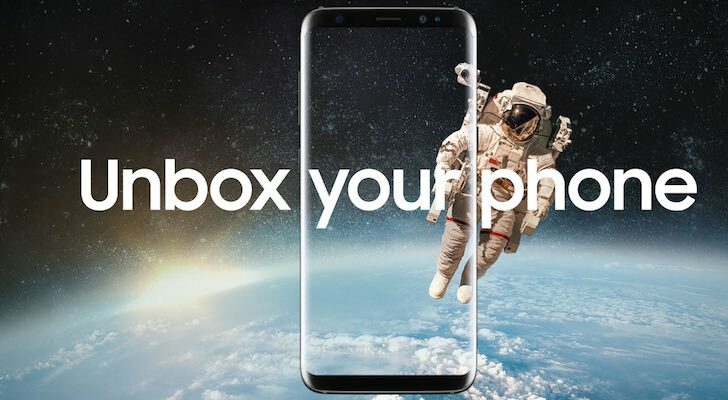 Released in April, the Galaxy S8 helped to kick off a year of smartphones featuring minimal bezels. Its QHD+ AMOLED display remains one of the best around. Misses included a fingerprint sensor positioned a little too close to the camera lens and a dedicated Bixby button before Samsung’s personal assistant was ready for prime time. But the Galaxy S8 is expected to be the top-selling Android smartphone of 2017. Google introduced its first ever Google-branded smartphone last year. The Pixel wasn’t a huge seller compared to the iPhone 7 and Galaxy S7 (although it was frequently sold out), but it won accolades for its excellent camera. The followup Google Pixel 2 is now available for pre-order and it’s getting rave reviews, especially the Pixel 2 XL, which offers smaller bezels on its 6-inch AMOLED display compared to the regular Pixel 2. The camera remains top of the class and the Pixel 2 supports Portrait Mode for selfies — something the iPhone 8 Plus can’t do. It offers a new “squeeze” for Android Assistant capability, ships with Android 8.0 (Oreo) and Google is currently including a free Google Home Mini smart speaker with orders. There aren’t many surprises in the smartphone world these days. The market is pretty mature. But we got one in 2017 when Android creator Andy Rubin launched the Essential smartphone. The Essential smartphone runs pure Android and it has no logo. It’s meant to be the ultimate mobile Android experience, free of bloatware and promotion. The Essential smartphone offers some interesting optional accessories — including a 360-degree camera — and its design is meant to stand out from the pack. Instead of the usual aluminum and glass, it’s ultra-tough titanium and ceramic. This may just be the best phone out right now if you hate protective cases. LG’s new V30 has been criticized for a display that doesn’t live up to the billing. In fact, that screen has been called “just bad” in reviews … so why does it make the list? 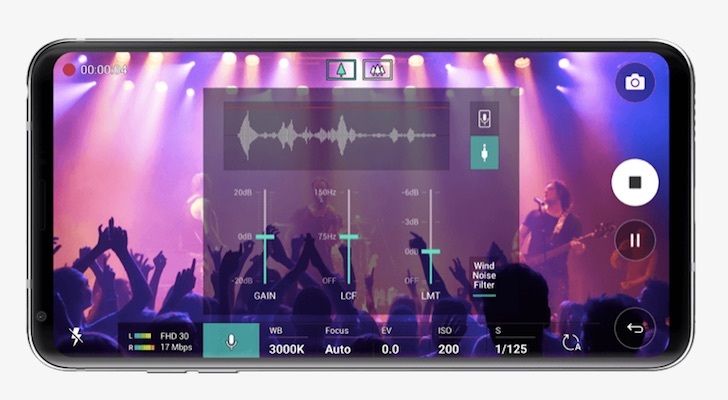 The LG V30 has solid industrial design, with a big display that fits into a smartphone that can be comfortably held in one hand. 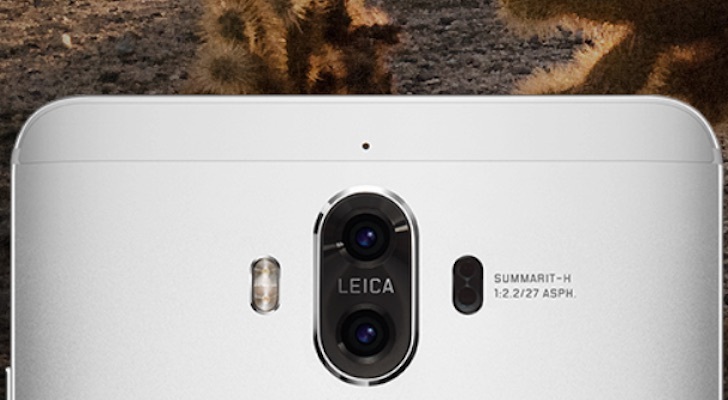 Performance is excellent and it has a dual camera system — although LG goes for a wide angle second camera instead of a zoom lens like Apple. But for music fans, this is easily tops among the best smartphones this year. LG not only kept the headphone jack — unlike Apple and Google — the company also put a superb 32-bit QuadDAC inside for unbeatable audio performance. At one point we weren’t even sure that Samsung would release another Galaxy Note phablet after the disastrous Galaxy Note 7 in 2016. But big smartphone lovers can rejoice, because Samsung roared back this year with the Galaxy Note 8. 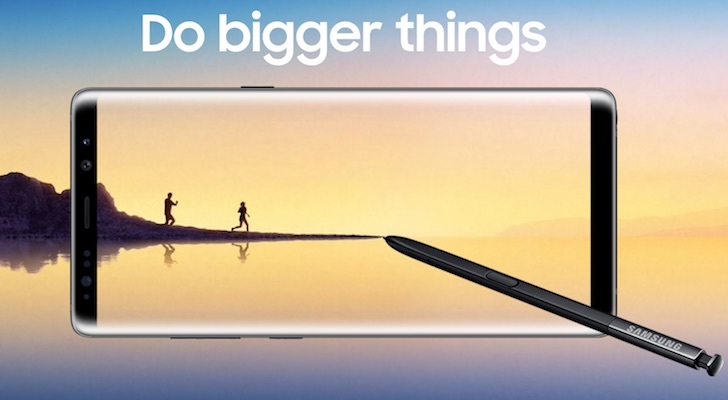 Featuring a massive 6.3-inch Infinity display and an improved S Pen digital stylus, the Galaxy Note 8 also offers a dual camera system with 2x optical zoom. The biggest knock against it has been the $950 MSRP, but with Apple pricing the iPhone X starting at $999, suddenly the Samsung phablet doesn’t seem so expensive. Huawei doesn’t have a big U.S. presence, but that didn’t stop the Chinese smartphone maker from overtaking Apple in global smartphone sales for several months this summer. For $450, you get a 5.9-inch Full HD display, a massive 4,000mAh battery (good for two days on a charge), a Leica dual camera system and Alexa support. The Huawei Mate 9 is one of the best new smartphones available for those on a budget, but you’ll probably need to buy it from Amazon.com, Inc. (NASDAQ:AMZN) since Huawei hasn’t yet inked distribution agreements with U.S. carriers. Speaking of which, make sure your carrier’s network supports the Mate 9 before buying — not all do. Another Chinese offering made it to this year’s list of best new smartphones: the OnePlus 5. 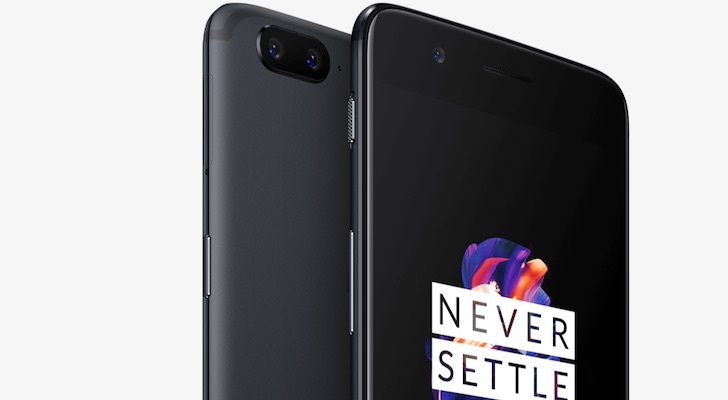 Looking like an iPhone 7 Plus (complete with dual camera system), the OnePlus 5 packs impressive technical specs. That includes a whopping 6GB of RAM (8 GB is optional), a 5.5-inch Full HD AMOLED display and Qualcomm, Inc.’s (NASDAQ:QCOM) powerful Snapdragon 835 processor. The base model is a very reasonable $479, but the 8GB RAM/ 128GB storage version goes for $539. It’s still cheaper than the iPhone 8 or Galaxy S8. Wait –what? 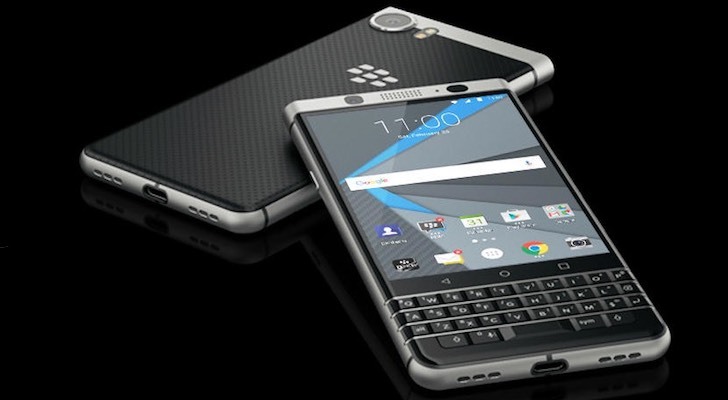 A smartphone from BlackBerry Ltd (NYSE:BBRY) on a list of best smartphones? In 2017? Does BlackBerry even make smartphones these days? Yes, the company released a new smartphone called the BlackBerry KEYone this year. It runs Android. And while it’s not going to win any spec wars — it’s underpowered compared to the competition and it doesn’t play the dual camera game — it has the hallmark BlackBerry physical keyboard. At $550 it’s reasonably priced. And if you prefer a physical keyboard to the virtual versions on the competition, this is the best phone out right now. Finally, our list ends with another new release from Apple and it’s one that’s a lock to be among the best new smartphones of the year — if not the best. 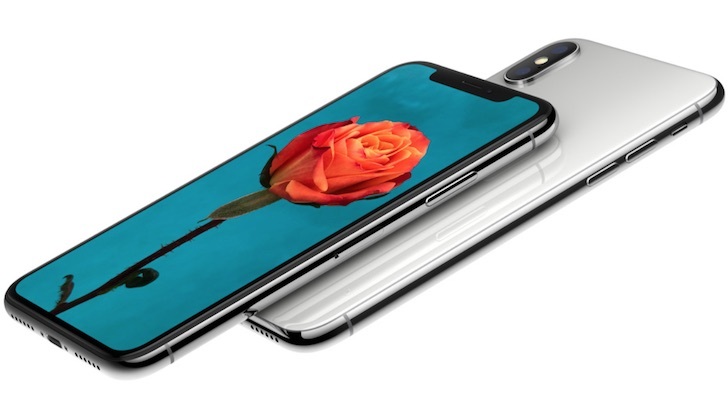 The iPhone X has been the subject of non-stop rumors this year and the flagship smartphone that Apple finally unveiled in September officially goes on sale in a matter of days. 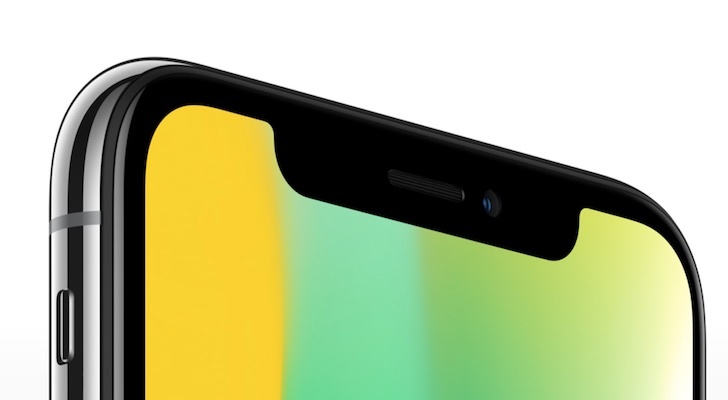 It’s all glass, sports Apple’s first OLED display (nearly bezel-free of course) and ditches Touch ID for an advanced new TrueDepth camera system and Face ID facial recognition. There are a lot of firsts on this new flagship, including it’s $999 starting price. Despite the hefty outlay needed to get one, expect demand to be high, so if you want this smartphone, you might want to consider lining up at an Apple Store soon. Article printed from InvestorPlace Media, https://investorplace.com/2017/10/10-best-smartphones-2017/.